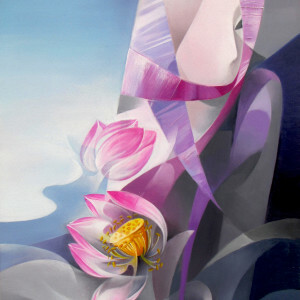 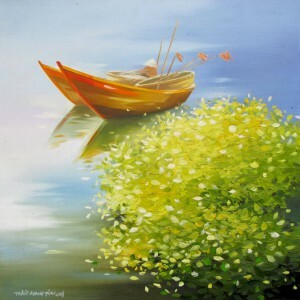 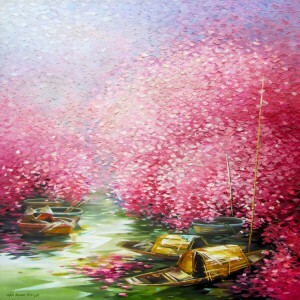 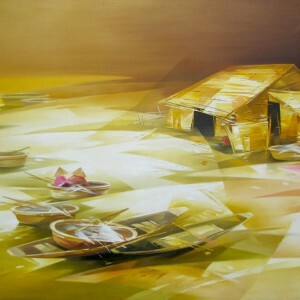 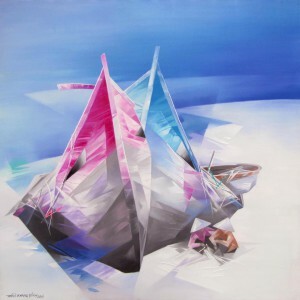 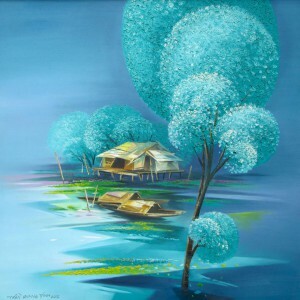 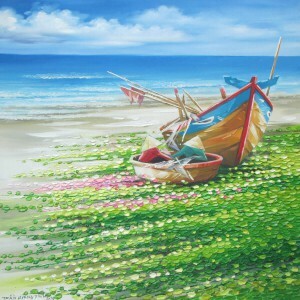 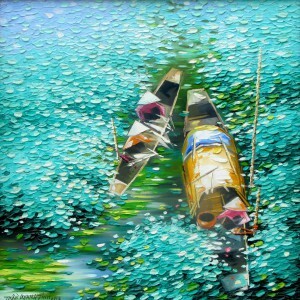 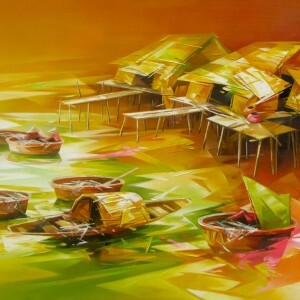 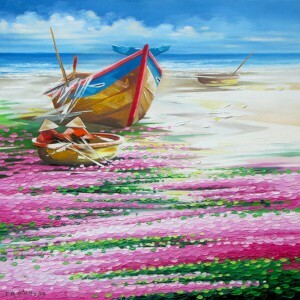 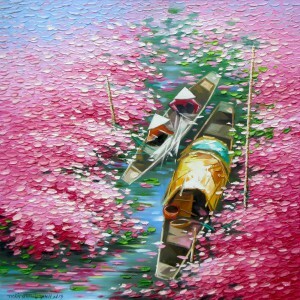 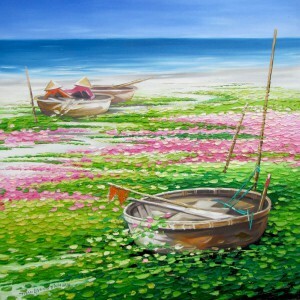 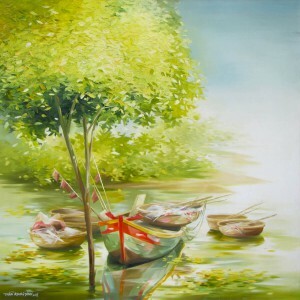 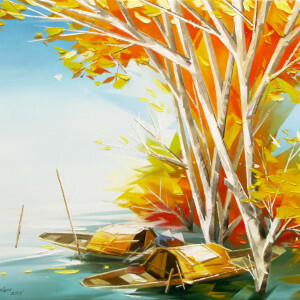 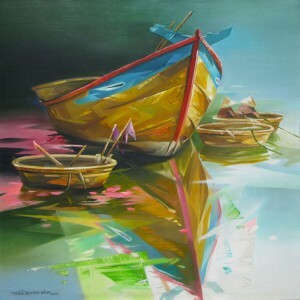 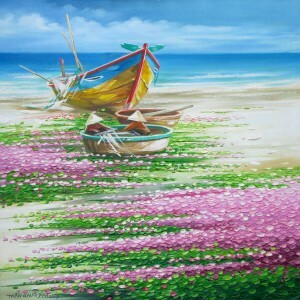 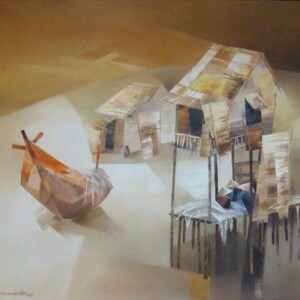 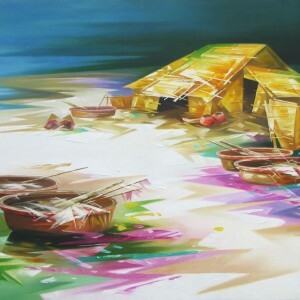 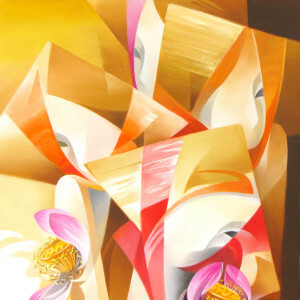 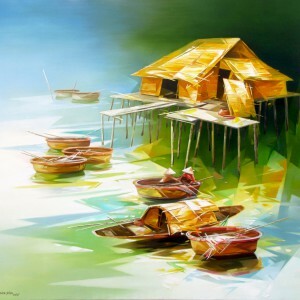 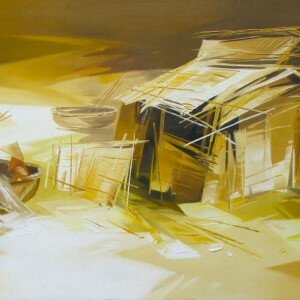 Asian artist Tran Quang Dinh applies avant-garde artistic methods in his works. 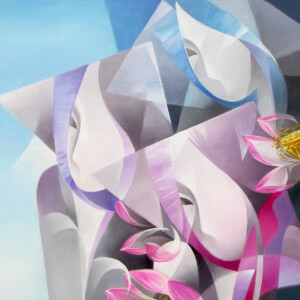 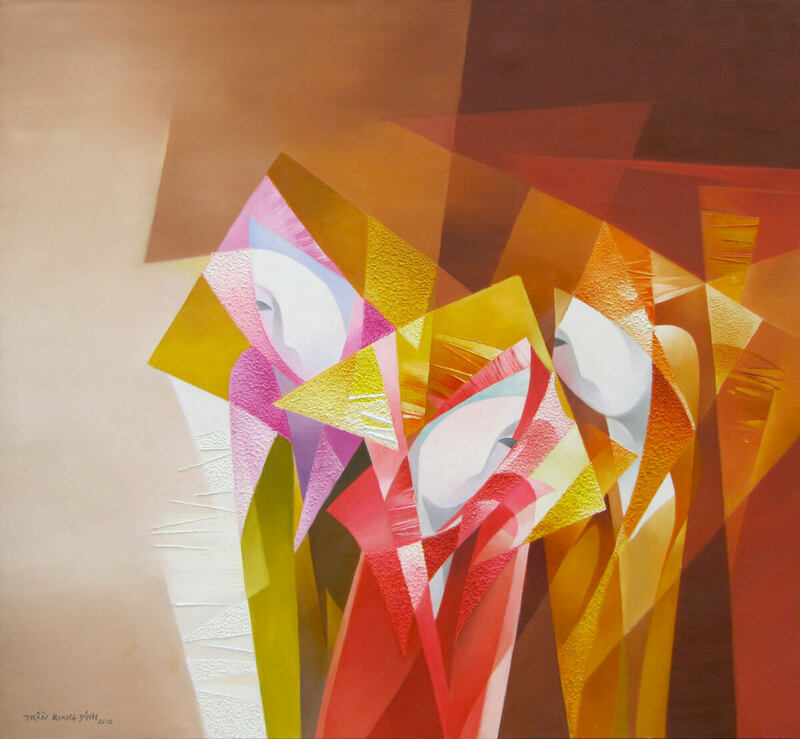 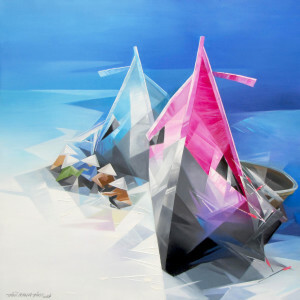 This contemporary Asian artist is particularly inspired by Cubism and Orphism movements, inheriting their attention to the geometric clarity of shapes and local colors. 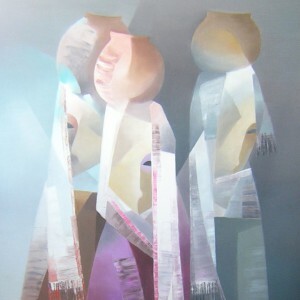 In the featured canvas, the artist refuses naturalism in depicting three young women, preferring abstract visual language.